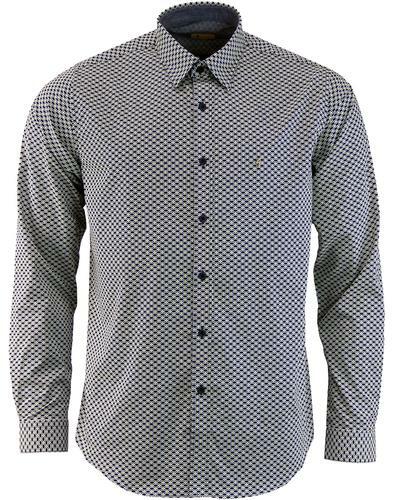 Pretty Green 'Rosoman' men's 1960s mod engineered stripe shirt in grey. 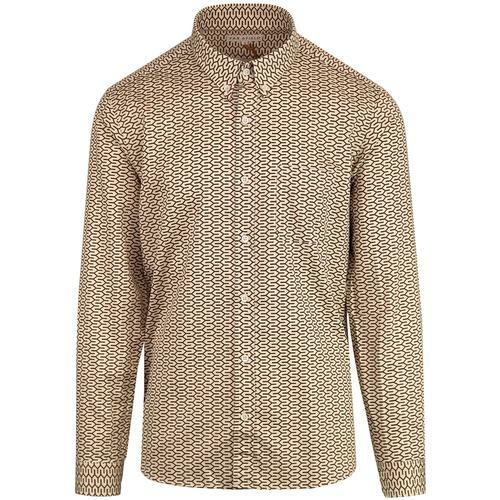 The retro textured boating stripe effect in subtle shades of grey with a neat contrast white textured jacquard stitch really sets this Pretty Green shirt apart. 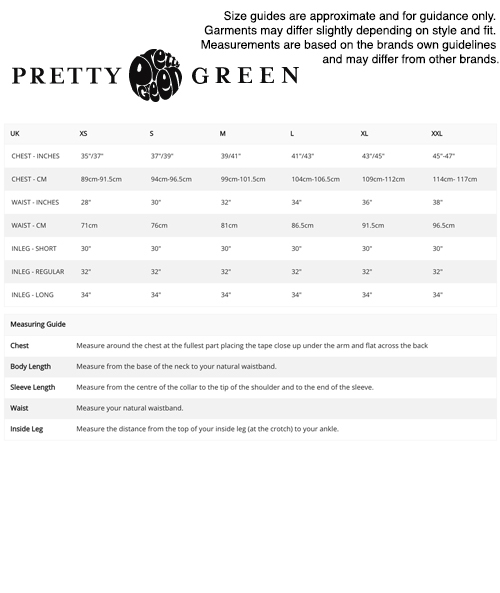 A style that bridges the gap between smart and casual attire with ease, the shirt features 60s mod short button down collar, left side patch chest pocket, discreet signature buttons and comes in the Pretty Green slim fit block. 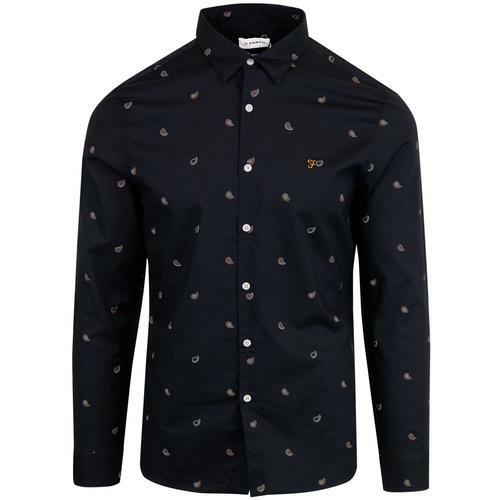 Looks as good with mod suitd as it does with denim jeans - A versatile shirt indeed - The Pretty Green 'Rosoman' Engineered Stripe Shirt. 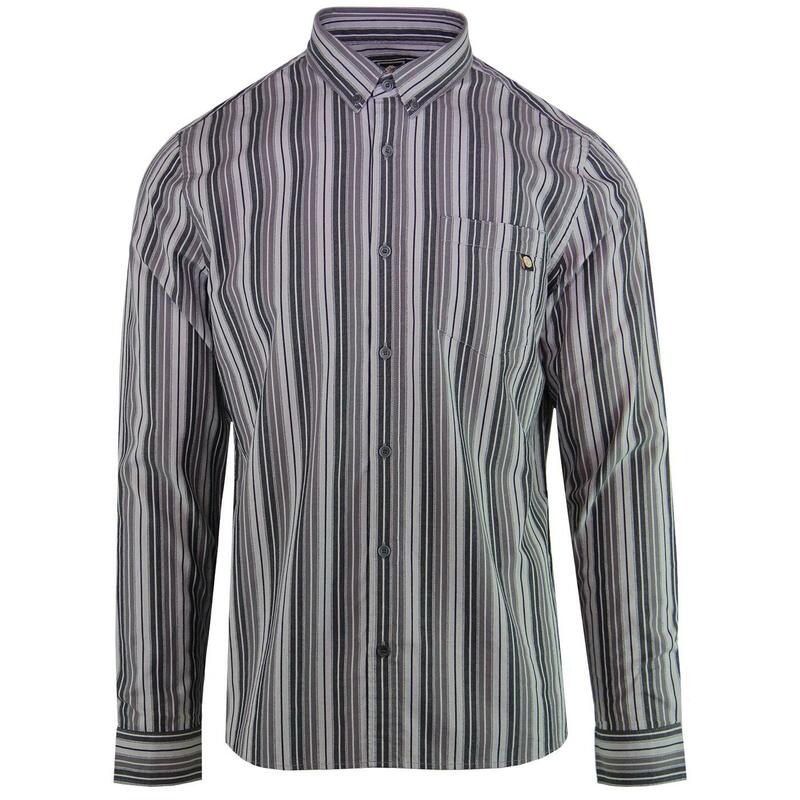 Pretty Green 'Rosoman' engineered stripe shirt in grey. Mod button down short collar. Retro Boating stripe details with contrast jacquard micro stitch. Long sleeves with classic button cuffs. SKU: A8GMU55689963 Engineered Stripe Shirt.